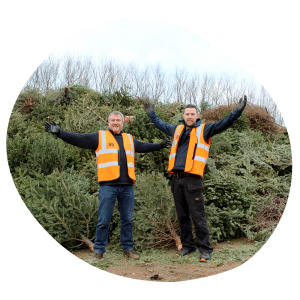 Thank you for taking part in our record-breaking Christmas Treecycle! Our terrific team of volunteers collectively travelled over 1,500 miles, collected more than 2,000 trees and raised a record £15,000! Your support helps us to continue caring for local people and their families living with a potentially terminal illness. Thank you for your support and we hope you will take part again next Christmas! If you have any queries about your collection or would like to volunteer next year, please contact us at fundraising@stgileshospice.com or call 01543 432538. 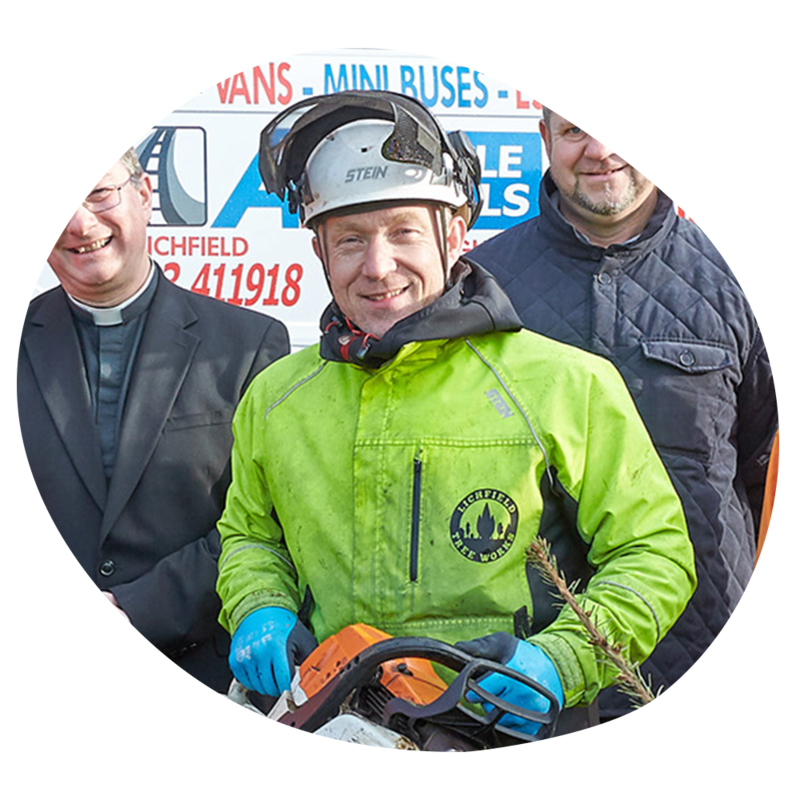 Jane and Nick Meade of Lichfield Tree Works have supported our Treecycle since 2015 and last year helped us to raise over £11,000. Jane’s mum was cared for at our hospice in Whittington. “Mum was incredibly well looked after at the hospice and we were offered amazing support throughout her stay,” said Jane. “She knew towards the end that she didn’t have long to live and wanted to die at home so the St Giles team did everything to make that happen with the Hospice at Home team there for all of us.